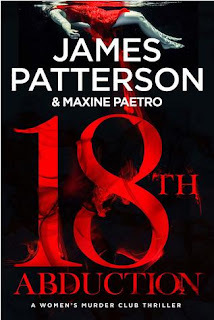 My Series Sunday pick is The 18th Abduction, the 18th book in the Women's Murder Club series by James Patterson & Maxine Paetro. Five years ago, Detective Lindsay Boxer teamed up with husband Joe Molinari to protect San Francisco from an international war criminal. A case of three missing teachers turn into murder, prostitution, strippers, steakhouse and more. It usually takes the entire Women's Murder Club to solve a mystery but not this time. Reporter Cindy Thomas still takes any surprising revelation she can get on the record. Yuki is only present during customary beer/lunch breaks and one brief chapter. But Claire, as Medical Examiner, plays a key role. Other characters to the forefront in The 18th Abduction are Lindsay's partner Conklin, boss Jacobi and husband Joe. It's just Lindsay and the guys! Listen. I read this book in one day. 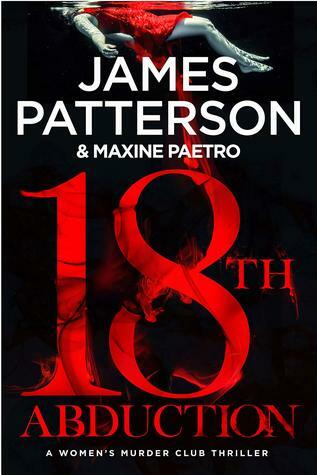 Patterson & Paetro used all the writing tools for this new release: suspense, action, realistic crime, multiple settings, reader engagement and trademark short chapters. Good thing I didn't have any plans except to take cold meds, nap, read, eat soup, repeat. Fans of the Women's Murder Club series will be pleased with this new release. It is definitely good enough to hold us until the next book is released later this year. You may not like how the Club takes a backseat to Joe Molinari but it is worth it in the end. I enjoyed every page! 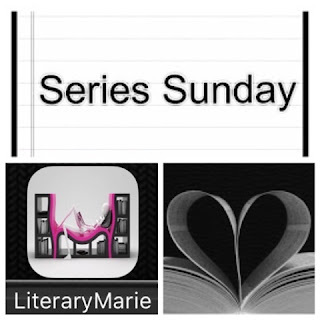 It earned a spot on my top series reads of the year already. Yeah, that good!